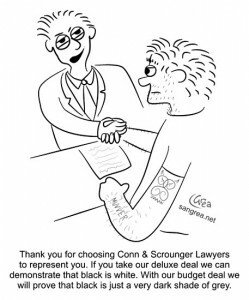 Attorneys can be expensive. Some civil disputes can be handled on your own or by making use of other resources. Small Claims Court can be a viable option for disputes worth $10,000 or less. Many of the South Bay Communities have a relationship with South Bay Center for Dispute Resolution, which offers mediation services for a wide variety of disputes and is a particularly good first stop for problems amongst neighbors. The Legal Aid Foundation of Los Angeles, Neighborhood Legal Service of Los Angeles County, and Los Angeles Center for Law and Justice can help those with low incomes.